Kristy Silvers attended phlebotomy at GST Boces back in 1999 in the state of New York. 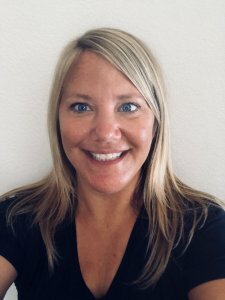 Kristy recently moved to California where she will be nationally certified and has twenty years experience as a phlebotomist along with two years as a phlebotomy instructor. Kristy Brings a lot of experience and enthusiasm to the table and has a steady hand when it comes to drawing blood. 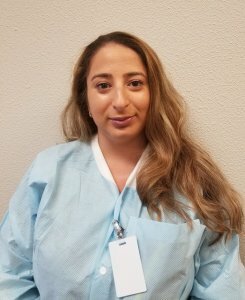 Margarita Ioannesyan is currently working in the Phlebotomy field as a Patient Services Representive/CPT I at Quest Diagnostics where she has been with the company for a year. Margarita attended Sierra College and has been Nationally certified in Phlebotomy for a number of years now. She is currently working on receiving her Hemodialysis certification and is certified to perform Advanced CPR and other life-saving techniques such as using an A-FIB machine. Margarita brings a lot of patience to the classroom due to her experience with teaching and training phlebotomy externs. She brings a lot of fun and enthusiasm to the table and has a steady hand when it comes to drawing blood. She does very well with difficult sticks and is excited to be a part of the Phlebotomy Training Specialist team. 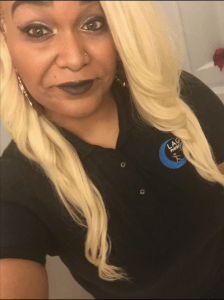 Nisha Evans has had the opportunity to work as a phlebotomist and service patients of all vein types. ICUs, Trama, In Patient, Out Patient, Mobile In home draws, oncology patients, dialysis patients, geriatrics to pediatrics. Nisha attended Phlebotomy Training Specialists and has been Nationally certified in Phlebotomy for a number of years now. She is CPR and First Aid Certified, and bilingual speaking both English and Spanish. Nisha brings a lot of teaching experience and enthusiasm to the table and has a steady hand when it comes to drawing blood.